The British horror industry definitely got boosted when Danny Boyle released his post apocalyptic film in 2002. The film although low budget was a big hit in both the UK and US and even produced an American sequel 28 Weeks Later. The film starts in a lab, where animal testing on chimpanzees is taking place, when animal rights members break in to set them free it soon appears that the chimpanzees have been injected with something and are now all infected. We are given knowledge that the scientists have injected them with an “inhibitor” that causes rage, making the at first innocent and harmless chimps into blood thirsty killing machines. Ignoring warnings they free them only to be attacked and infected themselves, spreading to humans it then becomes a national pandemic wiping out the population and turning them into rage infested “zombies”. Now knowing how the problem was caused the film focuses on the 28 days after and follows the life of Jim (Cillian Murphy) who has just woken up in hospital after a collision with a car when he was delivering a parcel on his bike. Unknown to him that his former life is now history and he’s about to walk out into a living hell he adventures across an abandoned London in search of life. However all he can find is dead, but the living dead? As he gets chased by a hoard he gets rescued by two over survivors Selena and Mark (Naomie Harris, Noah Huntley ). Held up in a corner shop they’re protected and have good and shelter and explain to a confused Jim what has happened. Without ruining the film and giving away spoilers things go wrong when Jim searches for his family in what used to be his home. They then discover more survivors in a block of flats in a more rural London, Frank (Brendan Gleesan), a friendly cockney cab driver with a passion for wine and his daughter Hannah (Megan Burns), a 12 year old who knows how to change a tyre and hand-break turn. They set off for a “safe camp” a last resort in Manchester where they believe its safe and the military have a cure. After playing homage to Dawn of The Dead 1978 in a local Budgens they arrive in Manchester but is the answer to infection there? The rest of the film is set in an heritage countryside mansion but the zombies aren’t Jim’s only problem when he finds out the military have alternative motives. 28 Days Later is very different to other films of its genre, it takes a different approach on the “zombie” with the idea of rage, which at the time was a very common and talked about theory. I rate this film highly when looking on the technical side, for such a low budget film that used such underdeveloped equipment 28 Days Later has some remarkable shots. Danny Boyle captures the eye with an extraordinary opening sequence of a completed isolated London, something so rare and almost impossible to achieve again. He also makes it clear this is a British film unlike most others that play to the American audience and stereotype. The score and original soundtrack is also worth a mention, repetitively played throughout the film it creates a tense atmosphere but at the same time its refreshing and encouraging. Although a “horror”, 28 Days doesn’t have too many moments where you jump or gasp, it plays more on conflict between survivors and relationships. Despite this the film does have some gore and the bloody violence you would expect in the closing sequence. 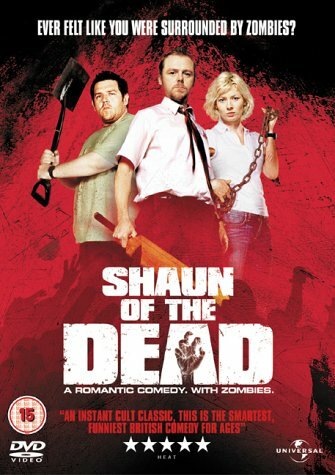 Although its no classic compared to the Dawn Of The Dead’s it should be credited and for me it is one of the best British horror films in the last decade. Danny Boyle producing another must watch film as always.